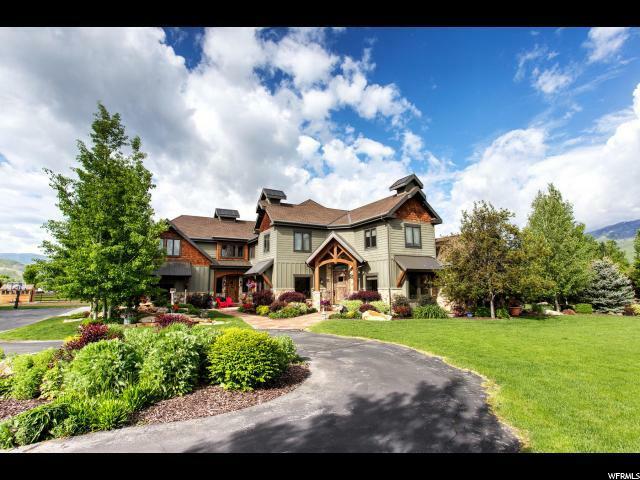 LUXURIOUS CUSTOM HOME WITH DRAMATIC TIMPANOGOS VIEWS! 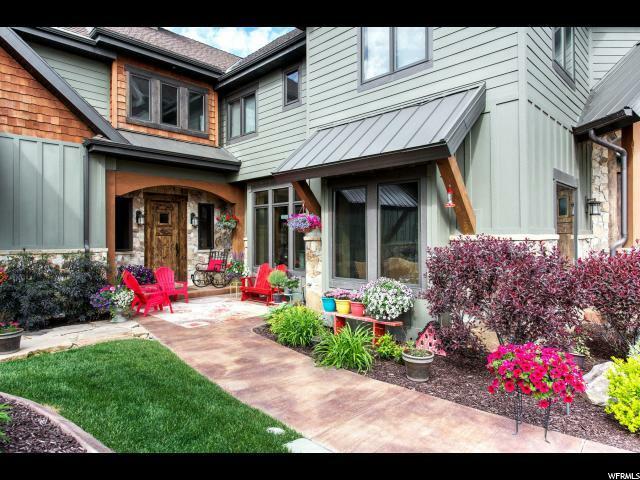 This thoughtfully designed mountain craftsman home boasts an open floor plan, vaulted ceilings, hickory hand scraped wood flooring, gourmet kitchen & exceptional outdoor living space. 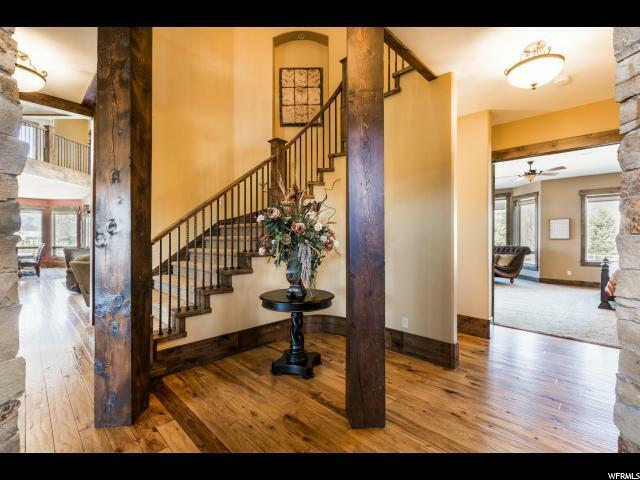 5 bedrooms, 6 bathrooms on 4.10 acres of gorgeous landscaping and horse property. This home has it all with a formal living room, coffered ceiling office/den and a main level master suite which includes a steam shower, air jetted tub, giant custom closets, and a picturesque sitting area with fireplace and entrance to a covered patio. Also an oversized huge laundry room and craft room. Gather in the great room and relax in front of the fireplace while enjoying the magnificent views out the large, oversized windows. The incredible views continue in the spacious dining and kitchen areas where cooking is a delight! Enjoy Brazilian Granite counters, custom cabinetry, pot filler, vented hood, and large, walk-in, hidden pantry. 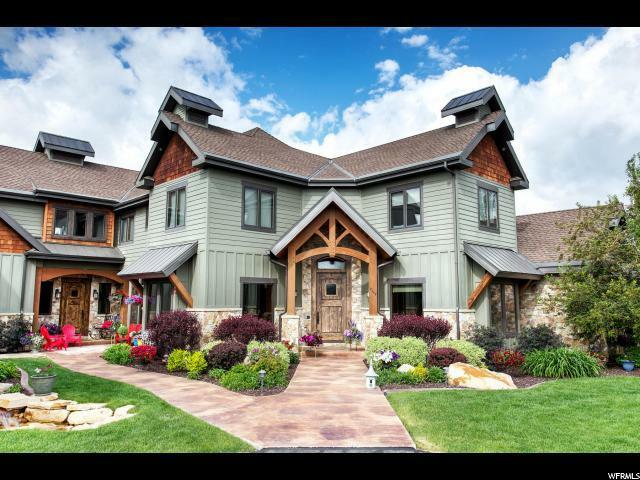 Family and guests will love the beautiful exercise facility with rubberized flooring, 2 story climbing wall, hardwood floor dance/yoga area, and a playhouse with fireman pole. You will also find a reading loft, computer area/game room, downstairs entertainment area with walkout basement. The superb quality, craftsmanship, and attention to detail of this home is complimented by an equally luxurious outdoor living space. Serene waterfall, fire pit, play area, garden, patio for entertaining and plenty of space horses and privacy. All nestled in the beautiful Heber Valley!